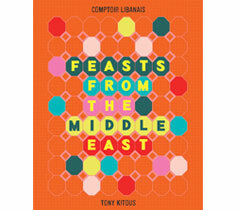 My latest book Feasts from the Middle East is inspired by the souks of Lebanon. Packed with over 100 deliciously fresh, fragrant and flavourful dishes, this cookbook is about my story, my journey and for sharing recipes. My life really is an open book”. 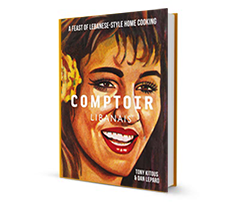 My first cookbook, Comptoir Libanais, contains eighty recipes, each one with a full-page photograph. It is big on spices, fresh herbs and bright citrus flavours drawn from traditional Arabic cooking. The book is strong on vegetarian and vegan dishes, alongside simple grilled or poached meats, fish and beautiful sauces that are quick to prepare or make in advance. 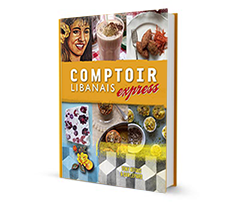 My second book, Comptoir Libanais Express, is inspired by the best dishes and ingredients I've eaten in the Lebanon and the surrounding region - it's about simple ingredients and preparing quickly and in advance to take the hassle out of cooking delicious, authentic meals.